I picked up the Boba Fett rat rod recently. I don’t usually go for Hot Wheels’ fantasy models, but you can see why I made an exception. My first encounter with Star Wars was the special edition re-releases in the 90s. I didn’t care about all the crappy additions and edits at the time. All I knew was Boba Fett was the baddest mother fucker in the galaxy (I probably used different verbiage). I had the usual collection of Star Wars toys growing up but I’m pretty sure they were all sold off in a garage sale. 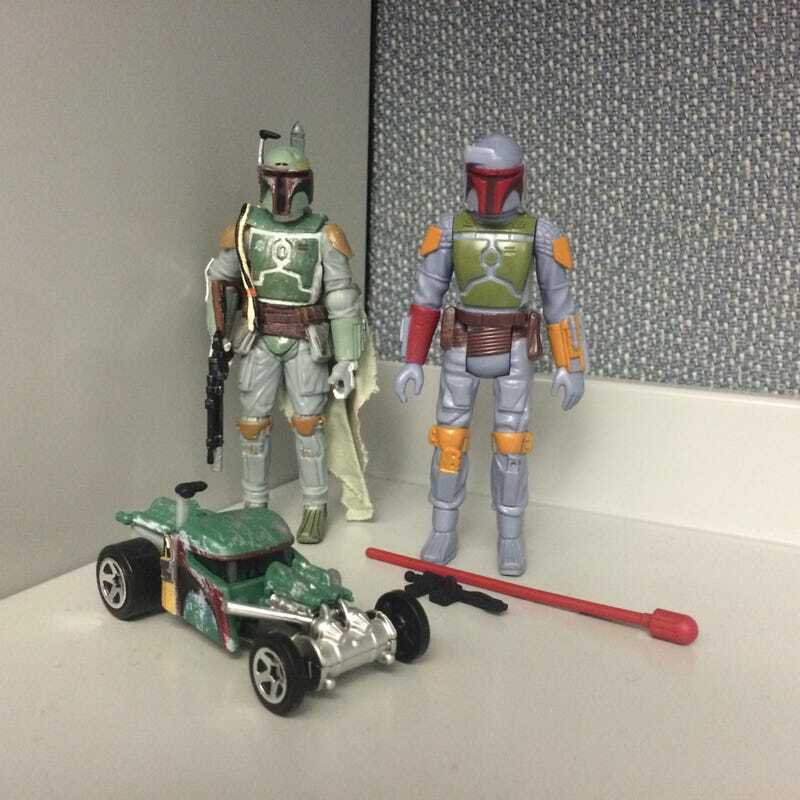 I picked up several of Hasbro figures, including a “vintage collection” Boba Fett about 3 years ago just to get a mail-in special Boba Fett (the more classic looking of the two above). After 3 years of staying packaged, I finally decided to liberate them today. Now they stand watch over my office cubicle alongside their rat rod brethren (and a growing collection of Hot Wheels cars). Anybody else nerd-out at work?